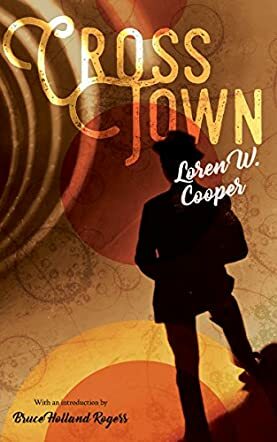 Science fiction, fantasy, comedy and adventure meet in CrossTown by Loren W Cooper. This unusual genre mix introduces readers to Zethus, a sorcerer who lives in a rather special place. While his world is kind of like our world (you even get to meet some famous people like Vincent van Gogh and Caesar), life there is very different. In his reality, possibilities are endless and each of your decisions leads to the creation of another alternative reality. For example, in one reality, you buy chocolate ice cream; in the other you decide to go for a cheesecake. From that moment on, both versions of you continue to live their own separate lives. This means that there are countless ways history could have run its path. And it's not only the history of Earth's usual inhabitants: Zethus also has to deal with redcaps, fairies, gods, magical storms and other unusual beings. When Zethus takes on a job that promises an incredibly high payment, he puts off seeing his master Corvinus, who had called him to meet at his earliest convenience. If Zethus had only known what his new employer was up to, and how his delay influenced Corvinus's life... Soon Zethus finds himself on the run from one of the most feared characters known to humankind. And he also has to find out what he can do to save everything and everyone he holds dear. You don't get much of a break once you start reading CrossTown by Loren W Cooper. The first few pages put you in the middle of some sort of "exorcism" that Zethus performs. It is a good chapter that introduces the skills of the protagonist and some of the facts about the world he lives in. A warning in advance: this is not a book you can rush through. You need to take your time and focus on the story, otherwise the rather clever mix of genres might leave you a little confused. After all, on one page you deal with fairies and gods, and then there are suddenly little spider-like robots with the most modern technology all over the place. It all makes sense, but only if you don't daydream while reading! I actually enjoyed that you needed to pay attention and couldn't just halfheartedly read the pages. It was a story that not only entertained, but also tickled the brain a bit. The plot and the world of Zethus are both certainly mind-boggling at times, but in an enjoyable way. I didn't see the end coming, and was rather happy about being surprised as many authors are far too predictable. If you are after an unusual setting, a story that keeps you engaged on every page, and a main character that is hard to put into any classic category, then this book would be a good choice!